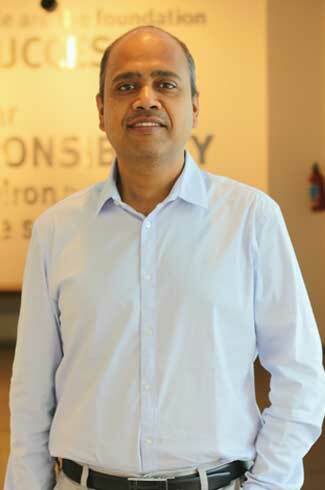 “It’s better to seek forgiveness than to ask for permission,” says Gunjan Srivastava, MD and CEO at Bosch and Siemens Home Appliances Manufacturing Private Limited. Taking out time on a Sunday morning, Mr. Srivastava agreed to answer a few of the questions buzzing in my mind as a B-school student, eagerly awaiting to step into the corporate world. “I think my passion for sports, not just playing but knowing all about it, the analytics and insights taught me the importance of performance, team dynamics and leadership,” he said when I asked him if he had any passion that helped him in his mainline career. Bringing sportsmanship to his professional life, he is calm, composed and analytical in his approach. Coming from a science background, he pursued Mechanical Engineering from IIT Varanasi and MBA from IIM Ahmadabad. Apart from academic learning, he credits his peers in both these institutes for cultivating an atmosphere of determination. Recollecting his thoughts he said that everyone was committed towards making the best out of the chance that they had got. He accepted that different people had different goals however their drive to succeed remained the same. “Off the top of my head, if I have to give example of an instance then it would be of one of my friends who broke his arm a couple weeks before the end term exams at IIT. While most of us went home to celebrate Diwali and Durga Puja, he stayed on campus and taught himself to write with his left hand in a couple of weeks! That’s the type of peer group I had,” he said, his voice filled with admiration and adoration. “The industry seeks risk takers but does it forgive if the result does not come as expected?” I asked as my closing question. Mr. Srivastava leads by example with his out-of-the-box solutions to problems, calm demeanour and humility that is admired and respected by his co- workers and subordinates. The article is so detailed, yet so succinct. It feels like you are actually talking to the man. Amazing work!